Jaaxy Keyword Research Tool Review- The Best? How much traffic you can expect if you are ranked on the first page. And even a Brainstorming section. That is just the beginning, it is more than just a keyword research search tool. You can also find domains that are available to purchase with the keywords in the premium membership section. It has integrated alphabet soup method built in as well as keyword ranking for a website so you can see exactly where you rank within Google for a selected keyword. This is hands down the best keyword tool I have come across in the market today for the price. In my opinion nothing else even comes close. I know I have a review of other keyword tools here, and please take a look at it, but I feel Jaaxy deserved its own post. It really is that good. Okay so the good; this tool is quick and easy to use. As I stated above, it has almost zero learning curve. I decided to post a short video to show you just how easy it really is to use and how much time you can save. This video is from starting a new account to researching keywords. Take a look at it and see just how great this tool is and how it can help you save time. While there is a free version available it is limited to 30 searches. Now this means 30 keyword searches, website quarries, or any other action or combination of those actions are included in the limit of 30. The free version does give you a good understanding of the program and just how powerful it really is for a blogger. I myself have never had to utilize their customer support. They do have several training videos also on the system which are well done and easy to follow. They do have contact information and when I sent them an email it was answered in about 8 hours. In fairness when I sent the email it was the middle of the day in China. At any rate, since my question was answered within 8 hours I was very happy. In fact any question answered within 24 hours I am happy with the service. Many site can take up to a week to answer an inquiry which I think is ridiculous. Jaaxy is a great program for anyone needing keyword research. Even if you are new to keyword research you can benefit from it through its simple to use model. The great thing is even the power user can benefit from all that Jaaxy has to offer. As I had mentioned there is a free trial, I love free trials as they are the best guarantee you can get. Then they have a beginner lever for $19/month. This lifts the 30 search terms from the account. And they have an Enterprise account for $49/mo. This is for the power user, you can search through multiple tabs, and it give all the data instantly. As I have mentioned before in this post. In my opinion Jaaxy is the best keyword search tool money can buy. 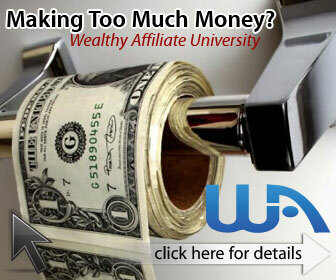 It is a legit program that is worth the money. I think anyone who give the free trial a try will quickly see just how easy and useful it is for keyword research. You should give it a try for free here. Great artice on jaaxy keyword research tool. Good and informative review. What you think about the long tail pro keyword tool? You think it’s on par with jaaxy? Thank you for the comment. I personally dont like long tail pro. That being said I think it is a decent keyword search tool. Jaaxy in my view is much easier to use and more visual. I think each person must make their own determination on that fact though. To me long tail pro seems bulky and cumbersome to use. I found that Jaaxy was very simple and easy to figure out. Really informative, learned a lot about jaaxy.com. I am glad I could help. Let me know if there is anything else I can help you with. I am a paid PRO user of Jaaxy, and it’s one of my most used tools. I was able to drill in to my niche and get some great keyword phrases, some of which I have used for posts on my site. It’s a great tool, and you’re review is well done. Thanks for the comment. Yes, Jaaxy really is that good. It is an amazing keyword research tool and more as I mentioned in my review.